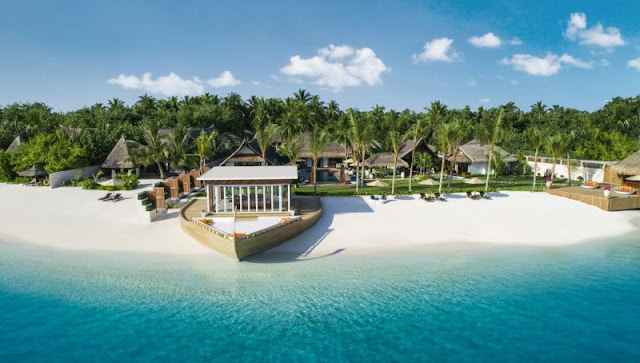 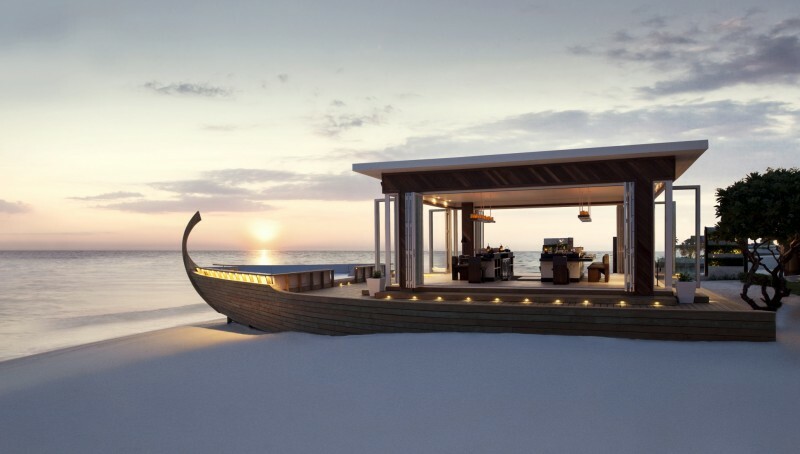 To celebrate its fifth anniversary, the Maldives’ tranquil Jumeirah Vittaveli has kicked its already-luxurious accommodations into overdrive with this month’s unveiling of the lavish five-bedroom Royal Residence. 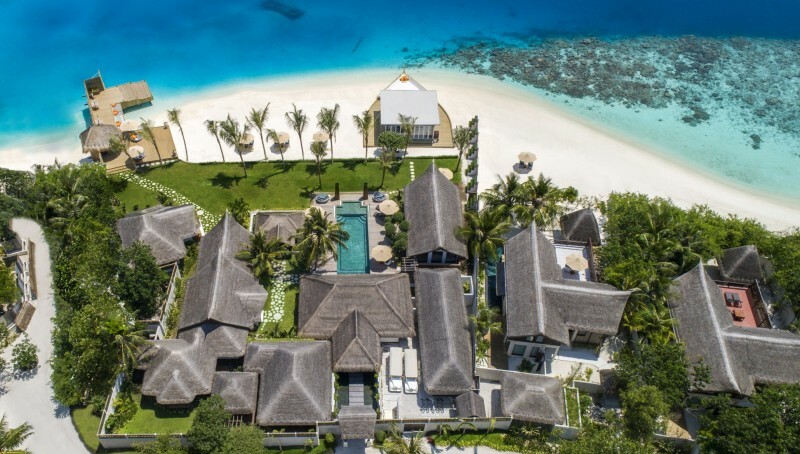 Tucked away from the resort’s other villas and suites on its own private stretch of sandy white beach, the nearly 38,000-square-foot complex serves as an entirely self-sustaining resort-within-a-resort. Complete with a dedicated restaurant, private butlers, two swimming pools, and a spa, the new villa ensures that guests will enjoy their tropical getaway in complete privacy. Designed with families in mind, the Royal Residence accommodate up to 14 guests across a main residence, two one-bedroom villas, and a two-story guesthouse complete with its own separate pool. 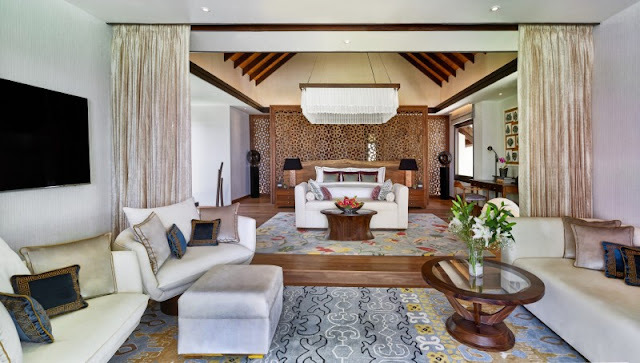 The sanctuary suite—with its light, airy decor—is the most lavish of the bedrooms, equipped with its own separate living area, oversize soaking tub, and Hermès products. 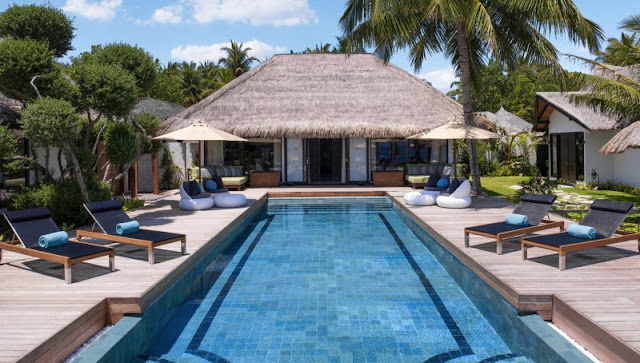 The breezy outdoor living and dining areas, which surround a full-size swimming pool, serve as the heart of the complex, providing plenty of space for guests to spread out.